No to a People’s Vote! The former Militant Tendency, now known as the Socialist Party in England and Wales, has applied to affiliate to Labour, and the SP has published correspondence on the matter between Labour’s general secretary, Jenny Formby, and its own leader, Peter Taaffe. This is of particular interest, since for more than two decades the SP insisted that Labour was now just another capitalist party – like the Tories or Liberal Democrats. But in its letter of April 6 the SP describes the election of Jeremy Corbyn as “the first step to potentially transforming Labour into a mass workers’ party”, standing on an “anti-austerity programme”. 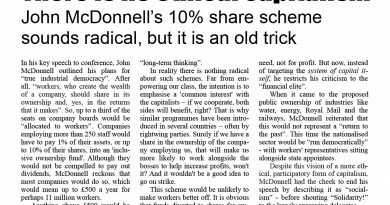 So now “all genuinely anti-austerity forces should be encouraged to affiliate ”. As an aside, why does the SP stress the need for an “anti-austerityprogramme” above all else? It does this even though it correctly states: “When the Labour Party was founded, it was a federation of different trade union and socialist organisations, coming together to fight for working class political representation”: ie, nothing so mundane as opposition to spending cuts. Eventually, on July 27, Jennie Formby replied, beginning her letter, “Dear Mr Taaffe”. She pointed out that Labour rules prevent the affiliation of political organisations with “their own programme, principles and policies”, unless they have a “national agreement with the party”. Also groups which stand candidates against Labour are automatically barred. In his next letter (August 23) Peter Taaffe answered the first point by saying that the SP wanted a meeting precisely to discuss the possibility of such a “national agreement”. And, in response to the second point, he said the SP would much prefer to be part of an anti-austerity Labour Party “rather than having to stand against pro-austerity Labour candidates”. Following this, Jennie Formby replied rather more quickly. On August 29 – this time starting her letter “Dear Peter” – she ruled out any meeting: “Whilst the Socialist Party continues to stand candidates against the Labour Party … it will not be possible to enter into any agreement.” Therefore “there can be no discussions”. The first point to make is that it is good news that the SP has at last started to take Labour seriously. But obviously it needs to stop standing against anyLabour candidates, including those who it says are “implementing savage cuts”. The second point is that the second letter from our general secretary appears to leave the door open to the possibility of affiliation by left groups. Such a change would be highly significant, possibly marking the return to the principles upon which Labour was founded in 1900. Our party should change its rules in order to end all bans and proscriptions, all of which were introduced by rightwing leaders. It should indeed return to its founding principles – it needs to become a united front for the entire working class. The row between Theresa May and the European Union over Brexit has been dominating the news during the Labour conference. That has led to an internal crisis in the deeply divided Tory Party, with May’s position as leader under imminent threat. In response to all this, the Corbyn leadership and sections of the Labour right have been able to find some common ground: the Tories are in disarray, which means that our priority must be to call for an immediate general election, so that a Labour government can negotiate a sensible deal with the EU “in the interests of the country”. The advantage of this from the point of view of both sides is that the question of a second referendum can for the moment be pushed to one side, although Corbyn has said that a ‘People’s Vote’ cannot be ruled out and he will abide by any decision taken by conference. In other words, a continuation of Labour’s ‘studied ambiguity’. The demand for a general election settles nothing, of course – which is why sections of the right have opposed it as a fudge. On the other hand, we all hate the Tories and want a Labour government as soon as possible, don’t we? That’s why the leadership is confident its position will win the day. 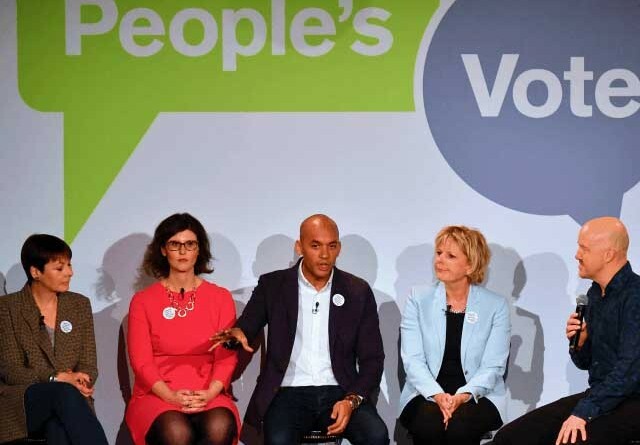 Loudest amongst the voices calling for another referendum are those of the right, including those who see the campaign for a ‘People’s Vote’ as yet another chance to undermine Corbyn’s leadership. The media coverage in advance of the conference and the publicity given to the demands to reject Brexit demonstrates the existence of a coalition being built in the latest attempt at a slow coup. For example, Sunday’s March for a People’s Vote in Liverpool brought together sections of the Labour right, such as Liverpool mayor Joe Anderson and Liverpool Wavertree MP Luciana Berger, along with a rag-tag band of Liberal Democrats, rural Tory rebels and confused Green activists in an attempt to sway the conference vote. Similar moves are underway in the unions, as leaders like Tim Roache of the GMB lined up to call for a second referendum. Unite’s Len McCluskey has said that any new referendum should not include the ‘remain’ option – it should focus solely on the terms of Brexit. But what if the terms are rejected? However, for the majority of union bureaucrats, Brexit – particularly of the ‘hard’ variety – is viewed as likely to have adverse economic repercussions in Britain, such as higher unemployment and greater pressure on wages and working conditions. It is purely from this narrow perspective that they would like to see the decision reversed. 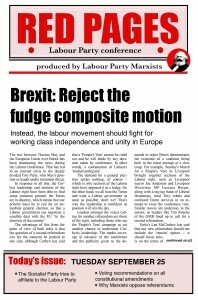 In parallel with this, the likes of the Alliance for Workers’ Liberty and its Clarion journal, with their ‘Love Corbyn, hate Brexit’ slogan, are openly calling for Brexit to be abandoned through a ‘People’s Vote’.. The composite is all that survives from over 140 contemporary motions submitted on Brexit. This followed a marathon meeting attended by around 250 delegates representing those who had put forward the various motions, which ended in the early hours of Monday morning. Once again, this episode exposes the democratic deficit within our party. Why can’t we have the true debates out in the open, with different motions representing different viewpoints being properly debated? He has pointed out that during the referendum campaign we “had a choice between two Tory alternatives: the status quo or a Conservative-led Brexit”. To put it mildly, “it is a mistake to continue to allow the terms of the debate to be dictated to us in this way”. This is correct. Both the EU and the UK are run in the interests of capital, not the workers, and what Labour should be proposing is a position of working class independence. Our call should be for a workers’ Europe – neither a capitalist-driven Brexit nor the current capitalist-driven EU. Delegates should vote against both of those by opposing the Brexit composite. The drive to commit Labour to a second referendum on Theresa May’s final Brexit terms is undeniably highly coordinated and well-financed. It is true that to many a ‘People’s Vote’ seems like an attractive prospect. After all, during the referendum campaign we were told a pack of blatant liesby the Brexiteers: who could ever forget the infamous red bus claiming that leaving the European Union will create an extra £350 million a week to spend on the NHS? Further, a Tory ‘no deal’ Brexit would only lead to more attacks on the working class. Therefore, why object to a second referendum? Paradoxical as it might sound, Marxists have always argued that referendums are inherently undemocratic, as they act to fool enough of the people enough of the time: eg, the 1998 Good Friday referendum, the 2014 Scottish independence referendum – and the 2016 Brexit referendum, of course. They all offered bogus choices. This does not mean that that we oppose allreferendums allof the time, as ultimately this is always a tacticalquestion. For example, Marxists supported the recent abortion vote in Ireland, as it represented a genuine gain for the working class. Nevertheless, the general principle of hostility to referendums stands. They are not a higher form of democracy than the process of electing well-tested working class representatives following extensive public debate. Referendums tend to divide the working class, weaken its party spirit and produce the strangest of bedfellows – as when the Socialist Workers Party and Ukip lined up together in support of Brexit. Karl Marx and Frederick Engels knew all about the undemocratic nature of referendums, given the bitter experience of Louis Bonaparte and his self-elevation to emperor in 1852, when each autocratic power-grab was legitimised by a referendum. In turn, opposing referendums became the common sense of the Second International, which dubbed them a “cruel trick”. In 1911 Ramsay MacDonald, future leader of our party, spoke in similar terms: referendums are “a clumsy and ineffective weapon, which the reaction can always use more effectively than democracy, because it, being the power to say ‘no’, is far more useful to the few than the many” (the final phrase is, of course, particularly pertinent when it comes to the current Labour Party!). The main argument against referendums is that there are very few situations where there is a simple binary choice in politics. Even assuming there is a straightforward ‘right thing to do’, its exact details are rarely obvious and there will be a wide range of contending ideas. But referendums reduce complexities to a mere option between black and white. Also, Marxists want to strengthen the system of party politics. It is vital for the broad mass of the population to think about, organise around and vote for competing party outlooks – in the process bringing class divisions to the fore. Referendums do the opposite, blurringthe fundamental conflict in society between class and class, and the corresponding conflict between party and party, between Labour or Tory. All this explains why Marxists fight to extendrepresentative democracy and the process of debate, through motions, detailed votes and binding legislation – which is why we call upon conference to reject all calls for a ‘People’s Vote’ and the pseudo-democracy of referendums. We have the same essential approach to all those proposed rule changes seeking to expand the use of ‘one member, one vote’: members ought to be able to elect accountable representatives., whose duty it is to explore and analyse all the complications surrounding decisions to be made. The Party Democracy Review contained recommendations for more “digital democracy” and “secure online voting systems”, with a new sub-clause added on Sunday, which promised: “the NEC shall invite CLPs to take part in pilots of staggered meetings; electronic attendance, online voting and other methods of maximising participation”. However, for Marxists there are some serious problems with Omov. Just as we are opposed to referendums, as a general rule we are also against plebiscites in the party. There is a good reason why the move to Omov for the election of party leader began with the likes of Neil Kinnock and culminated in Ed Miliband’s Collins review – it was a rightwing ploy to dilute the working class nature of our party and atomise members by bringing the ‘common sense’ politics of the BBC or even The Suninto Labour. Online voting also marginalises the role of the unions. Yes, the representatives of rightwing unions have played an entirely negative role on the NEC. But in general the affiliation of unions is an enormous strength. While their bureaucratic leaders should not be allowed to prevent the democratic selection of parliamentary candidates, unions have clearly played an important role in preserving the character of the Labour Party as a workers’party, even under Tony Blair. But our main point remains this: our most powerful organising tool is representative democracy. We need to elect representatives who are totally accountable to and recallable by the party, and empower them to take informed decisions on our behalf. We really wish we could use this article to recommend a vote for the rule change moved by International Labour in favour of open selection. 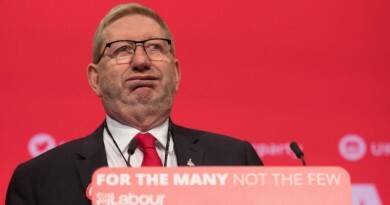 Unfortunately, due to the betrayal and manoeuvring by Unite leader Len McCluskey and Momentum owner Jon Lansman on Sunday, delegates will not be able to vote for the mandatory reselection of all Labour’s parliamentary candidates. We believe that this was not just incredibly undemocratic, as the vast majority of CLP conference delegates clearly expressed their desire to have an open and fair discussion on the different options (most of them were no doubt in favour of mandatory reselection). It was also incredibly inept from a tactical point of view. If Labour wins the next general election, members of the rightwing PLP have demonstrated that they will not subordinate themselves to Jeremy Corbyn. They will make his life hell at every opportunity. They are very likely to launch another no-confidence vote against him – he will, in effect, be unable to govern. The only way to avoid that, of course, is through such measures as mandatory reselection to get rid of the plotters and saboteurs. While most NEC rule changes coming out of the gutted Party Democracy Review were voted through with a majority of well over 90%, the two disputed – sections 6 (leadership elections) and 8 (selection of parliamentary candidates) – received much lower votes: 63.94% and 65.94% respectively. Taking into account the massive size of the trade union bloc vote – which makes up 50% of the total – this means that the vast majority of CLP delegates rejected the NEC’s proposals on these two issues. This clearly represents a massive democratic deficit. And, owing to the undemocratic three-year-rule, this now also means that both issues cannot be revisited until 2021. – Sefton Central CLP proposed that the members of the powerful National Constitutional Committee should be elected directly by all Labour Party members. The NCC is incredibly important in the ongoing civil war. This is where the NEC sends all disciplinary cases it does not want to deal with itself. Ideally, it should be abolished. But, seeing as this was not an option, we agreed with this rule change, which would have taken away the right of the affiliates to choose who should judge over party members. The NEC’s amendment, which increased the size of the committee from 11 to 25, does not specify at all how the members should be elected. This will guarantee that the right will continue to dominate disciplinary matters in the party. – The current period following an expulsion or auto-exclusion of a member is currently set at a fixed “minimum of five years”. The amendment by Bracknell CLP would have given the NEC the right to choose a shorter period. There would still have been unfair and unjust expulsions, but it would have been slightly better than the status quo. Again, the NEC’s rule changes do not deal with this point at all – but delegates will still not be able to discuss the proposed change, as it has been deemed ‘superseded’. After removing these excluded ‘consequentials’, we believe that the following rule changes remain on the agenda to be discussed today. Our reason: This rule had not been used for decades – until the election of a certain Jeremy Corbyn to leader of the Labour Party, that is. 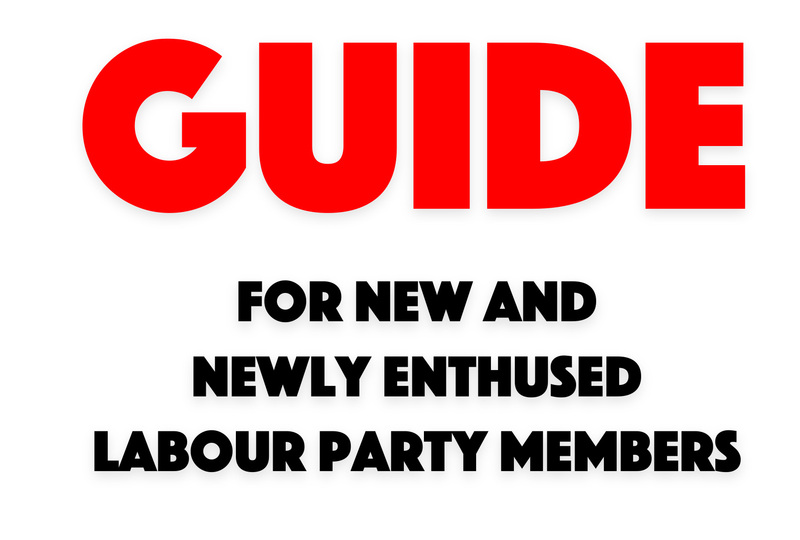 Since 2015 though, it has been liberally applied to “auto-exclude” dozens of supporters and alleged supporters of Socialist Appeal, the Alliance for Workers’ Liberty and Labour Party Marxists – many of whom had been active Labour members for many, many years. 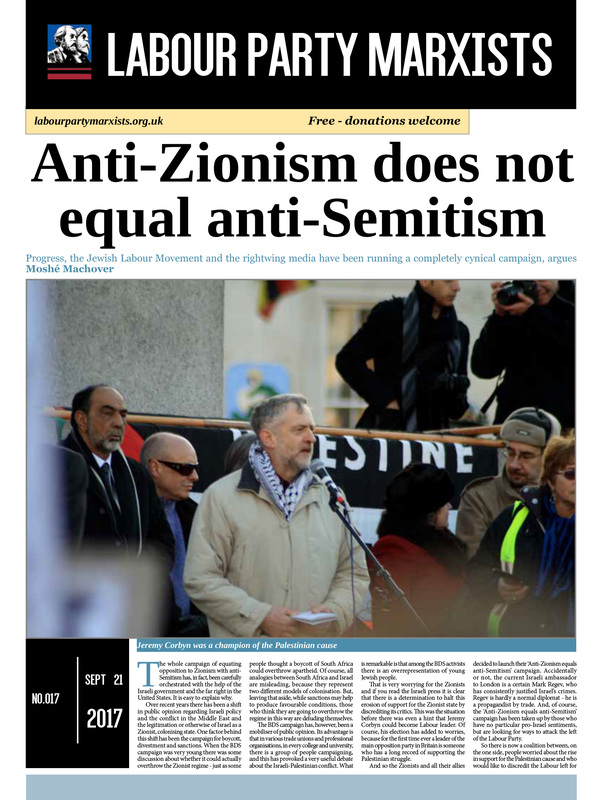 It was, for example, used to expel professor Moshé Machover after an article of his was published by Labour Party Marxists, which was handed out at last year’s Labour Party conference (he has since been reinstated after an international outcry). It has also been used to auto-exclude people who have merely shared articles online published by the three organisations. Members of Progress or Labour First – clearly very highly organised factions in the Labour Party – remain untouched. To be applied consistent, the party would also have to expel supporters of the Stop the War Coalition or the Campaign for Nuclear Disarmament. But, of course, it has exclusively been used against the organised left in the party. It is a McCarthyite, anti-democratic rule that must go. Broxtowe CLP proposes (in the same section) that only a party member who “joins and/or supports a political organisationthat is in conflict with the aims and principles of the Labour Party” should be ineligible for party membership (amendment in italics). Our reason: This proposal begs the question as to how on earth you prove that the aims of an organisation are not“in conflict” with those of the Labour Party. This formulation has been used, for example, to expel supporters of Socialist Appeal, because they self-define as Marxist. The CND clearly wants to abolish all nuclear weapons; while Jeremy Corbyn is prepared to rearm Trident – incompatible, surely? Copeland CLP proposes stricter rules on delegate selection. Our reason: The rule book already states that, “at least every second delegate from a CLP shall be a woman”. 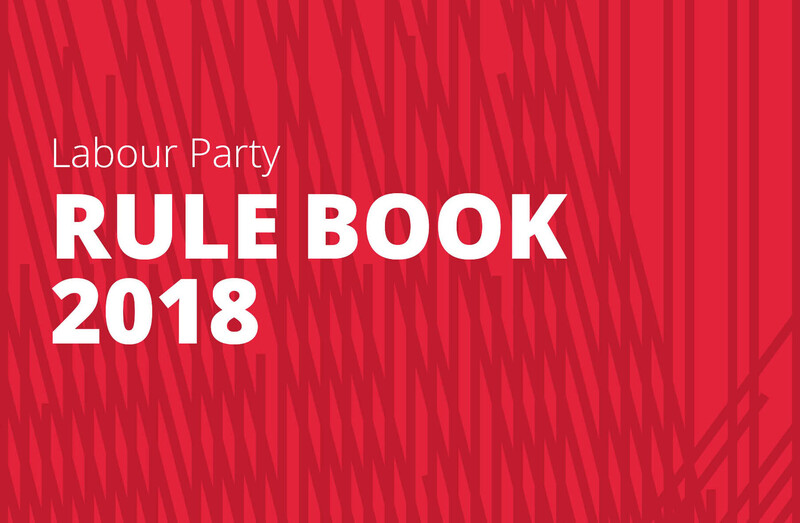 While we encourage the participation of women at all levels of the party, this rule effectively punishes the CLP if it cannot find enough female volunteers. It seems to us that this is a pseudo-democratic, unnecessary addition that makes the rule book even more unwieldy than it already is. Islington North & South Derbyshire are proposing the introduction of proper standing orders for party conference. Our reason: This is sorely lacking at present. While each morning delegates and visitors wade through the huge pile of papers, composited motions and votes cast the previous day, the CAC plays hard and fast with conference standing orders (many of which are not written down anywhere). It has a huge amount of power. It can decide, for example, if there should be a show of hands or a card vote. The unions and other affiliates have around 300 delegates at conference, while the CLPs have about 1,200. But in a card vote the affiliates count for 50% of the total vote; ditto the CLPs (whose vote then further divided according to how many members it has). Roughly, a union delegate’s vote counts for four times as much as that of a CLP delegate – and that can make all the difference in a dispute. Blackley & Broughton et al insist that rule changes should be heard in the same year they are submitted. Our reason: The practice currently employed is actually not part of the rule book. It delays debate of constitutional amendments to the following year. An utterly unnecessary block on the democratic will of Labour Party members. Apparently, this was also discussed as part of the Democracy Review, but rejected by Katy Clark. Wirral West wants a second (female) deputy leader. Our reason:We have sympathy for this rule change, which is clearly designed to curb the power of Tom Watson. But we are in favour of doing away with the position of deputy leader altogether. Incidentally, we are also in favour of abolishing the position of leader, as there are serious issues of how members can effectively hold to account somebody in such a strong position. Hornsey & Wood Green propose the same, in more words. Kingswood proposes to abolish the category of registered supporters. Our reason: We are against the Americanisation of politics; only members should have a vote. Supporters actually made no difference to the outcome of the leadership elections. Canterbury et al want the general secretary of the party elected directly by members. Our reason: We also have a lot of sympathy for this rule change, which has no doubt been inspired by the disastrous reign of Iain McNicol. He had to be bribed out of his job after undermining Jeremy Corbyn for two long years, during which he was responsible for facilitating the witch-hunt against thousands of Corbyn supporters, creating the hostile and fearful atmosphere we can still feel today. Currently, the GS is elected at conference “at the recommendation of the NEC” and usually stays in the job until s/he dies or retires. We therefore welcome the fact that this rule change seeks to give the NEC the clear power to sack the GS, because that is clearly missing from the current rules. However, this also creates a certain democratic deficit: all party members can vote for the GS, but s/he could then be sacked by the NEC. In our view, it would make more sense for the GS to be truly accountable to the NEC by being elected by this body too: it is, after all, the NEC that the GS is supposed to serve. We also disagree with limiting the term to three years. If the person is doing a great job, why get rid of him or her? On the other hand, if s/he is terrible, s/he can be sacked straightaway anyway. There is no point to this limit. New Forest East as above, but instead of a maximum term of three years, it proposes five years. Swansea West proposes to elect the leader and deputy leader of Welsh Labour via an OMOV election. Our reason: Again, we have a lot of sympathy with the motives behind this proposed rule change: a truly undemocratic, weighted electoral college, adopted only recently by the Welsh executive committee, has led to the election of Carolyn Harris MP, who is deeply unpopular among individual members (but was favoured by the unions and elected representatives). But if there has to be a position of ‘leader’ – a position we think should be abolished – we would prefer this person to be elected by the (democratically chosen) Welsh/Scottish executive directly. After all, s/he is supposed to be accountable to and recallable by that body. Dartford wants to double the number of NEC reps elected by councillors, mayors and police commissioners. Our reason: Instead of doubling the figure from two to four, these NEC positions should be abolished altogether. Richmond Park proposes that CLPs should be able to decide themselves if they want to stand in a general election. Our reason: We presume that this rule change comes from the right and has been moved by people wanting to withdraw a Labour candidate in favour of Tory billionaire Zac Goldsmith, who was standing as an ‘independent’ in a by-election in 2016. Nevertheless, it is entirely correct that local members should have the right to decide not just who they want as their candidate – but also if they even want to stand somebody. In the past, local Labour Parties stood down in order to support a candidate from the Communist Party, for example. Cheltenham wants CLPs without a Labour MP to decide on a candidate within six months of the last election. Our reason: Is it really useful to have somebody in this position for over four and a half years? This rule change would not allow for the person to be replaced (unless they withdrew). City of Durham wants to replace Local Campaign Forums with Local Government Committees, in which 75% of its members would be CLP delegates. Our reason: The current LCFs clearly need radical reforming: They are dominated by councillors and party officials and are little more than toothless debating chambers. They used to write the Labour group’s manifesto, but this has long been outsourced to the councillors themselves. We would prefer a much more thoroughgoing reform of this body.